Are You Taking the Kids Trick-or-Treating? Previously we shared safety tips for Halloween costumes and carving and displaying pumpkins and a safe home for trick-or-treaters. 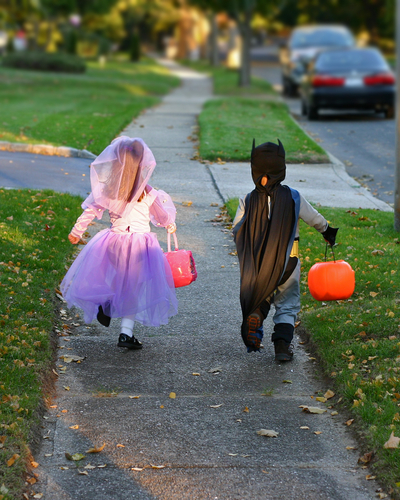 Here are safety tips for trick-or- treating tonight from the American Academy of Pediatrics. If older children are going alone, plan and review the route that is acceptable to you. Agree on a specific time when they should return home. Reference: Photo and information from American Academy of Pediatrics.